The latest Jaguar to get the SVR treatment is the award winning F-Pace, ensuring it is the fastest and most powerful available. 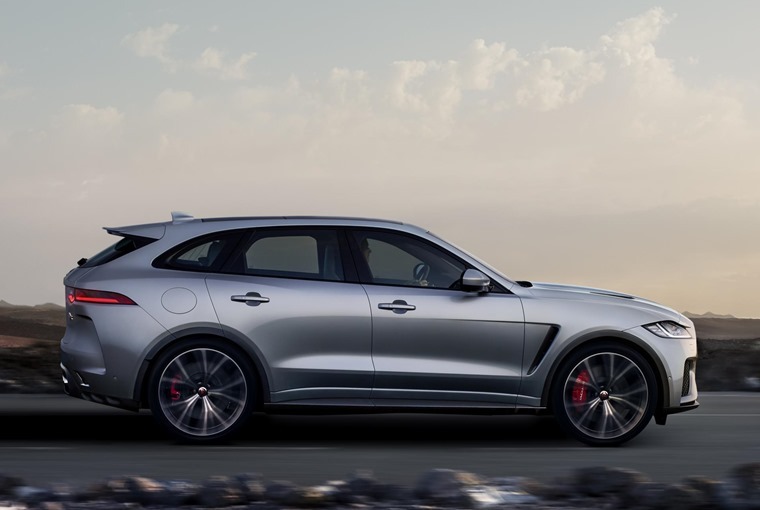 With a 44% uplift in power, the F-Pace SVR’s 5.0-litre V8 supercharged petrol engine produces 550PS and 680Nm, enabling it to reach 0-60mph in 4.1 seconds and reach a top speed of 176mph. 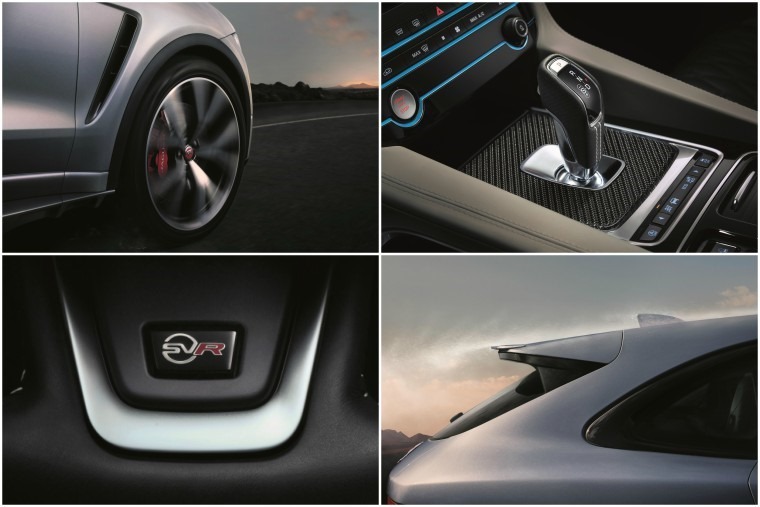 Aerodynamic enhancements to the car include unique front and rear bumpers, lower body sides and rear flip spoiler to enhance cooling, reduce lift and drag and aid high-speed stability. The SVR-tuned chassis features uprated dampers with front and rear spring rates increased by 30/10 per cent respectively as well as an anti-roll bar that contributes to a 5% reduction in body roll. New, lightweight forged 21in and optional 22in alloy wheels are wider at the rear by 25mm compared to the front and further improve handling and traction. 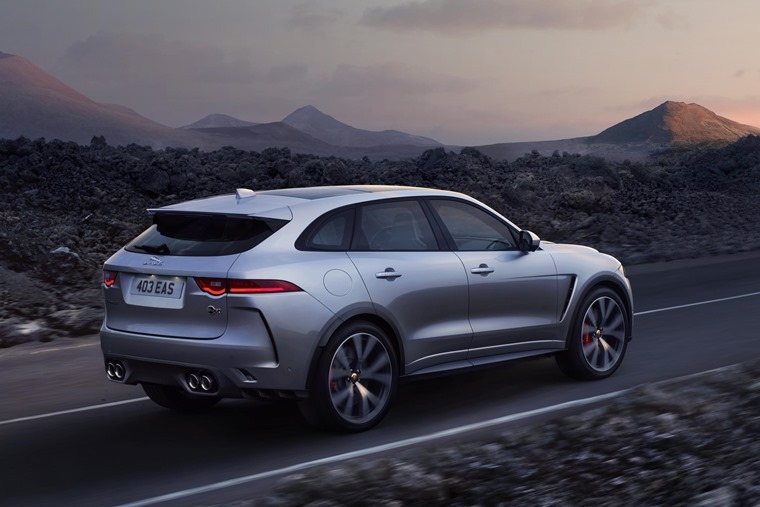 As the first F-Pace to utilise Jaguar’s rear Electronic Active Differential, a comprehensive range of advanced technologies are featured throughout including the torque on-demand All-Wheel Drive system’s Intelligent Driveline Dynamics. Dynamic Driving Mode is bespoke to SVR and initiates faster, more responsive gearshifts, sharper throttle responses and increased steering response for a more engaging driving experience in all conditions. Away from the performance aspect, the SVR retains the practicality and versatility of the Pace family, with its 650-litre loadspace, 4G WiFi for up to eight devices and the advanced Touch Pro infotainment system with 10in touchscreen and a 12.3in HD instrument cluster. 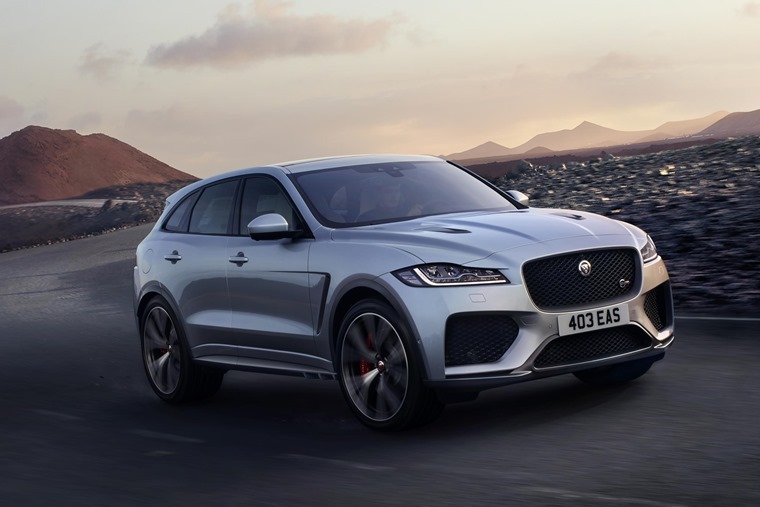 “The F-Pace SVR delivers the handling and agility to match its performance.” commented Mike Cross, chief engineer, vehicle integrity, Jaguar Land Rover. Priced from £74,835 OTR in the UK, F-Pace SVR is available to order from summer 2018.